Sept 1st 2016: Kilmarnock have signed defender Scott Boyd on a season-long loan from Scottish Premiership rivals Ross County. 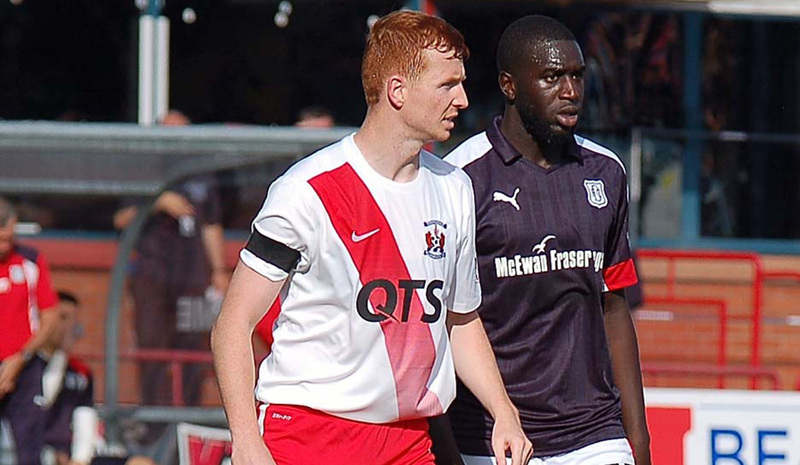 The 30-year-old has been with the Dingwall club since leaving Partick Thistle in 2008. But he has not played at all this season and has only made three appearances since December. Boyd, who started his career with Livingston, becomes Killie boss Lee Clark's 16th signing this summer. Jan 31st 2017: Scott Boyd has made his loan from Ross County a permanent move penning an 18-month deal. March 9th 2019: Scott Boyd says he's excited to commit to another season with Killie after being handed a 12-month contract extension. The 32-year-old has proven to be a key part of Steve Clarke's team this season, performing well in central defence alongside Stuart Findlay or Kirk Broadfoot. The Killie boss has rewarded the defender with a new 12-month extension, which will keep him at Rugby Park until the summer of 2020. Scott said: "I'm delighted to sign a new deal at such an exciting time for Kilmarnock. "I've been lucky to see the club grow on and off the field during my three years here and I'm looking forward to spending another season at Rugby Park. "We've been on a fantastic journey since the manager arrived and I'm looking forward to recovering from injury and getting back on the field to see exactly what we can achieve from now until the end of the season." Manager Steve Clarke added: "He’s done really well for us this year and earned himself a new contract for next year, which is good. "We will help him with his rehab and hopefully he will play a part before the end of the season."